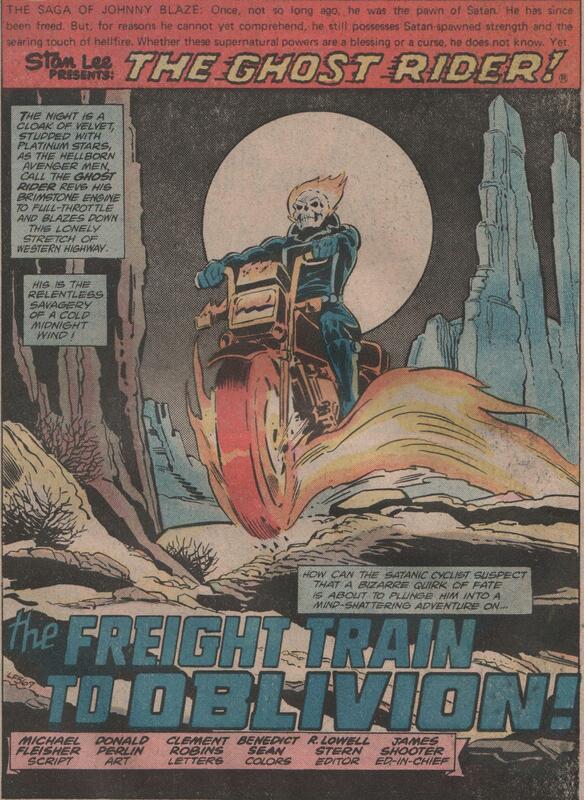 Ghost Rider #41, 1979 “The Freight Train to Oblivion” | Magazines and Monsters! 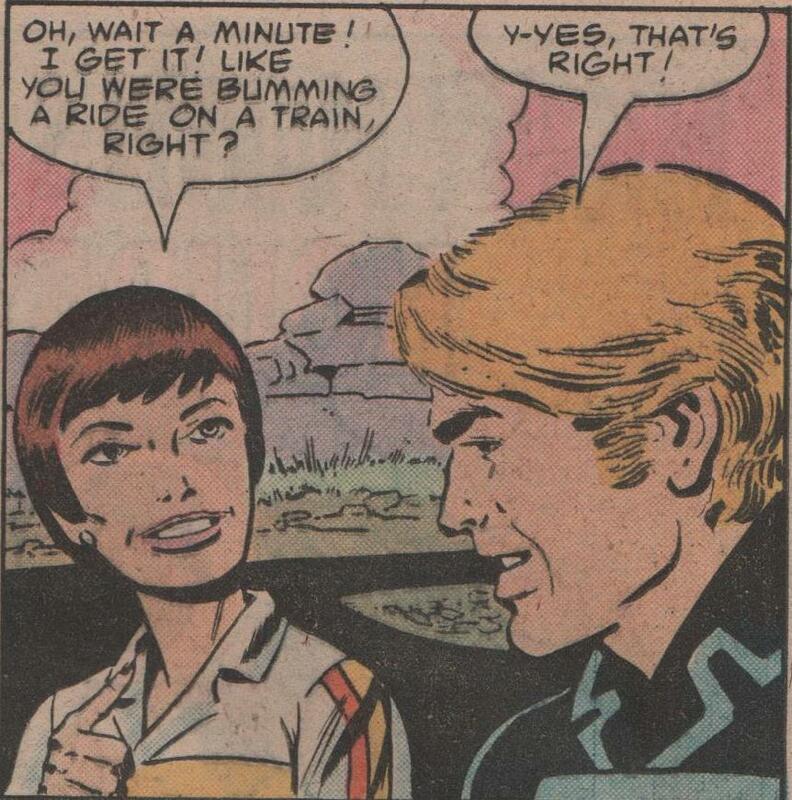 I love Johnny Blaze! No, not the “Nicholas Cage I’m doing my Elvis impersonation” guy, but the stunt biker with an attitude that laughs in the face of danger! 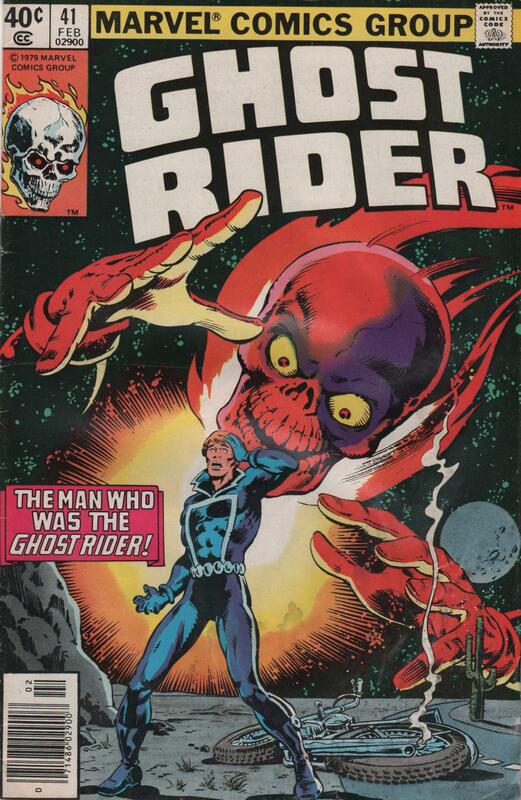 Listen, if all you know about Ghost Rider is from that craptastic movie, then get out and grab some old issues or Essentials of old flame-head! His early stuff is definitely solid material and when you have good creators like this title typically did, you get good results! In this story, we see Johnny get knocked out, lose his memory, and fall for a hot little lady that drives a race-car! The writer, Michael Fleisher, had a decent run on this title. 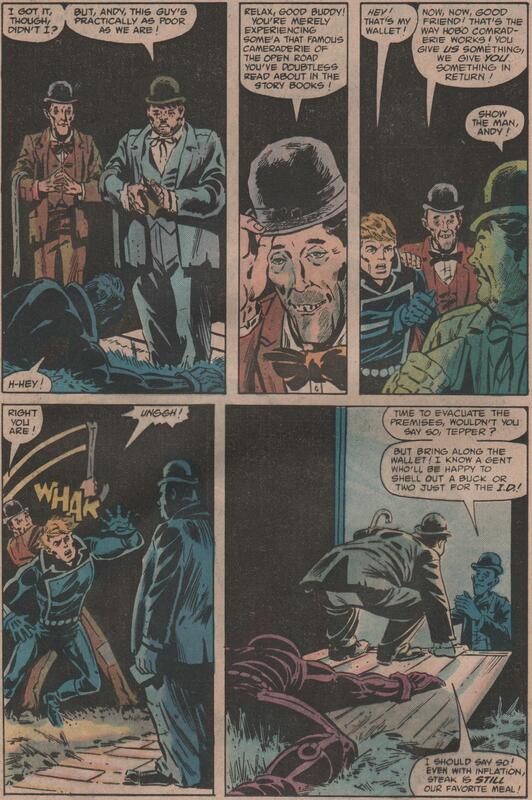 he had the pleasure to work with great artists like Don Perlin (pencils & inks). These two guys had a solid run, and really took the character in some interesting directions. 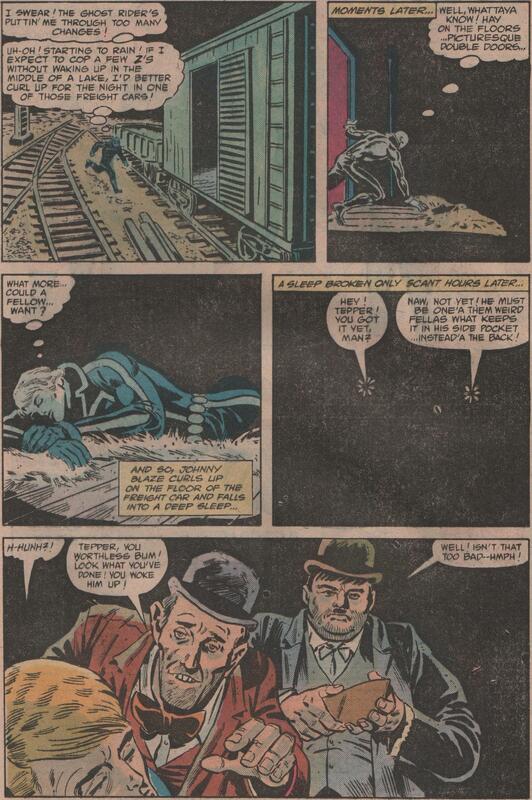 Add letterer Clement Robins, colorist Ben Sean, and editor Roger Stern, and you have a great combination! Don’t forget the cool cover by Bob Budiansky and Bob Wiacek! And if all that wasn’t enough, you get a guest appearance by Laurel and Hardy! 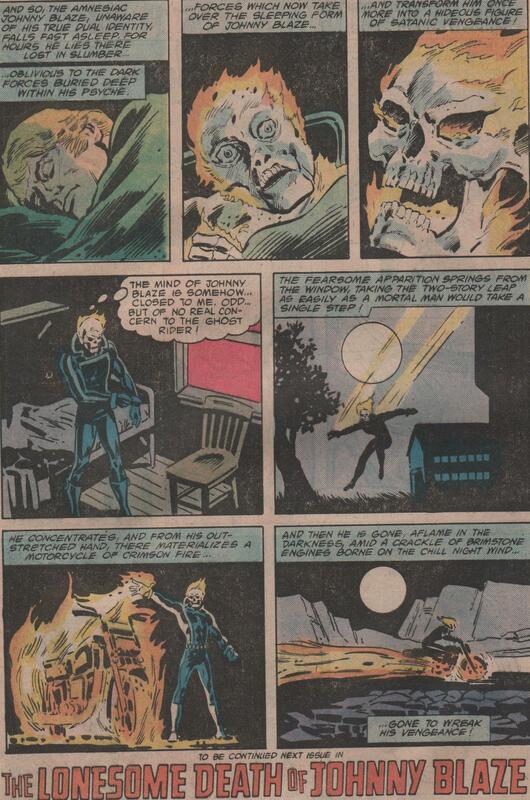 Pingback: Ghost Rider 42, 1980 “The Lonesome Death of Johnny Blaze” | Magazines and Monsters!